PURPOSE: The purpose of the Central Illinois Youth Soccer League is to organize, promote, and administer soccer for youth up to and including those nineteen years of age throughout the central portion of the state of Illinois, and to encourage good sportsmanship and fair play of all the participants therein. a. encouraging the development of clubs, associations, organizations, and programs so that soccer is made available to youth in all levels of competition. e. promoting the growth of soccer thru the Academy, and small sided games format for ages U-8 thru U-12. f. to promote and encourage instructing, training, and educating players, coaches, and referees to develop and improve their capabilities. CIYSL 2019 Spring League Schedules are posted on Got Soccer and the links are listed on our web site under Schedules. PLEASE BE ADVISED ! Teams that attempt to change league schedules after March 4th will result in clubs/teams being assessed fines as listed on the League Fine Schedule * Failure to provide proper and / or sufficient notice to all teams involved for the cancellations of a league game the fine is $200.00. If teams reschedule on their own, please be advised that you will need to check with Chuck Equez on field site availability. Report your game results (U-11 & above) directly to Got Soccer. Information on how to connect, and submit on Got Soccer will be sent via email. For the Academy age divisions U-8 to U-10 those game results can be sent directly to the League Office via Game Report form. ALL TEAMS ! Make sure to follow both the IYSA Goal Safety Policy ( can be found on a pdf link listed below) also can be found on Forms Page 'Other IYSA Forms' - Additional Risk Management Forms. The other policy is the IYSA Concussion Policy and Notification Form can be found on Forms page of this web site. CIYSL does not cancel games due to weather - that is the responsibility of the Home Site team, Club Director of Fields, or agency of control over the fields i.e. Park District, University Property manager. In case of player safety, and or field conditions at game time, the referee has the authority to cancel. CIYSL does not notify of game cancellations. It is the responsibility of the Home team to notify said teams of game cancellation. CIYSL does not reschedule games cancelled due to weather. This is the responsibility of the said teams involved. The Home team does not lose their field advantage unless they agree to play elsewhere. December 10th - Spring 2019 Registration opens on Got Soccer League Event and Academy Event. February 1st - Registration Deadline on Got Soccer League Event and Academy Event. Affiliated Member: I.Y.S.A., U.S.Y.S.A., U.S.S.F., F.I.F.A. 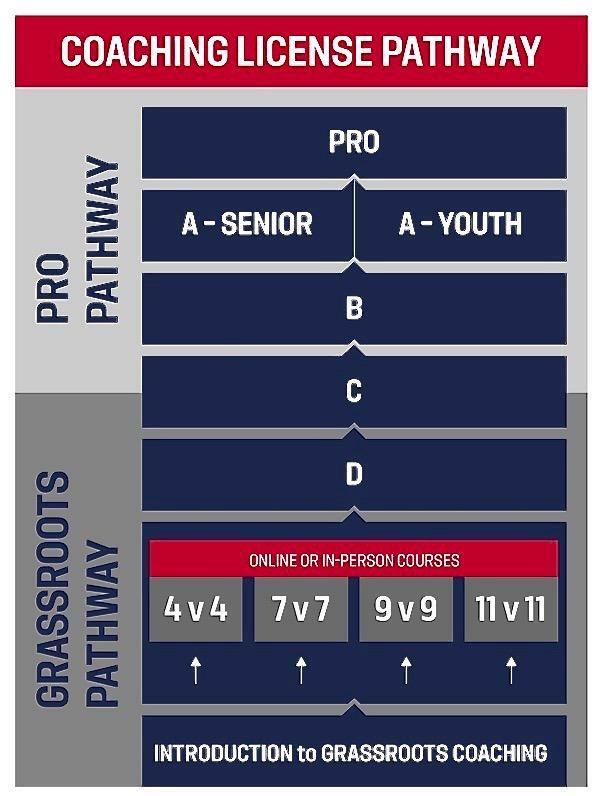 US Soccer has released it's new coaching course program with new course requirements. Information is posted below. CIYSL will still recognize the E license as a minimum requirement, but that course is no longer available as of 12/31/2017. CIYSL now follows the minimum requirements as set by the IYSA. ©2019 Central Illinois Youth Soccer League / SportsEngine. All Rights Reserved.